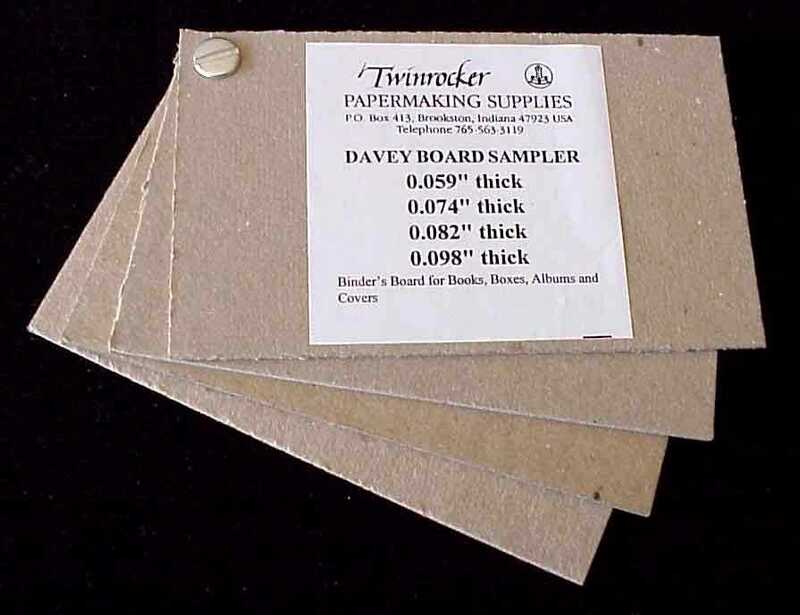 Binder's Board is the material that makes hard back books hard. It is used to make boxes and the covers of books, portfolios, albums, etc. Its surface is usually covered by gluing down paper, cloth or leather (see Slow Drying Glue) and then are attached to the structure. It is more stable than regular cardboard and much less likely to curl when coated with glue. when ordered at one time from this form.